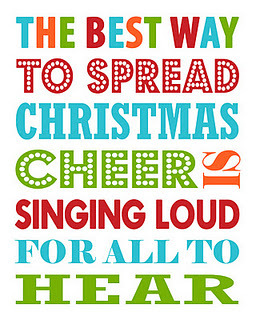 Above all...I LOVE TO SING CHRISTMAS CAROLS!!!!! Becca, from Because I'm the Mommy and I are throwing our 2nd Annual Christmas Caroling Blog Hop. We can't wait to hear your favorite carols this years!! So, in honor of my family and all their favorite Christmas Carols, I am going to pick one each week for the next 4 weeks so you can become a little part of our family tradition this holiday season! Happy Caroling Everyone...Come On and Be Festive & Link Up!! That's one of my favorite songs Ging! The Grandma has great taste - that is definitely one of my favorites too! As requested...32 Days of Elf on the Shelf Ideas! 5 Things That Bring Me Comfort.